September is generally one of the strongest months of the year for new metal releases, and 2018 was no exception. Several albums that will likely make some year-end lists were released in September, and some worthy records had to be omitted. Here are our picks for the best new metal albums released in September of 2018. 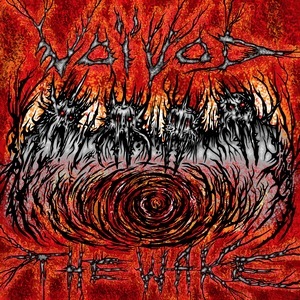 The Wake is the first full-length Voivod album to feature Dominque “Rocky” Laroche on bass, and the chemistry between the three musicians (including Michel “Away” Langevin on drums) really works throughout. If there’s one theme that defines The Wake, it would be experimentation – something the band is already well known for. Here they take it further in some areas, not just in the songwriting and arrangements but also Denis “Snake” Belanger’s vocals. Overall, Voivod have released a stellar album, featuring the band members firing on all cylinders, solid songwriting, excellent vocals, and a welcome sense of adventure. It’s fantastic to listen to one of Canada’s most influential metal bands push their boundaries this far into their career. Philadelphia death metal collective Horrendous are back with album number four, Idol, and a lot of hype to live up to. Much like the bands they have drawn comparisons to, Horrendous have also become markedly more progressive. Horrendous are evolving and it is quite fun to see where they are taking their sound. Idol might not be the band’s most accessible album, but for seasoned death metal fans, this will be a fun album to dissect and hear each and every influence for what they are to Horrendous and how they sound on Idol as a whole. 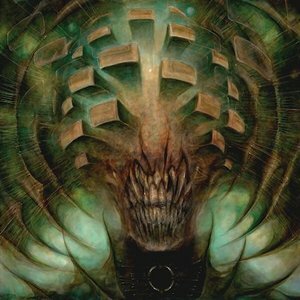 Horrendous are a different band who are able to let their influences seamlessly into their music, none of it feels put on. This is a death metal album for death metal fans, by death metal fans. 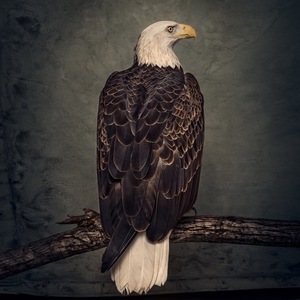 Clutch‘s twelfth studio album, Book of Bad Decisions, is here, and much like the band’s touring schedule, it is relentless. They used vintage equipment and a very raw, spontaneous, unrefined approach to the sessions, to give us an album that sounds as though we’re sitting right in the room with the band as they jam through these tracks with wanton abandon. Length aside, Book of Bad Decisions is yet another standout album in the Clutch catalog, full of memorable riffs and crazy lyrics. The fat, warm sound and the raw, somewhat out of control playing lend the album an undeniable charm. Fans of the band will revel in this approach: Book of Bad Decisionssounds as live as a studio album can. When Riverside’s founding guitarist Piotr Grudziński passed away suddenly two and a half years ago, even they didn’t know what would come next. 2018 sees the band releasing their seventh album, Wasteland, and first as a confirmed trio. Not filling Grudziński’s shoes means that singer/bassist Mariusz Duda pulls a lot of double duty here on Wasteland, although there are a handful of guest appearances to bring a bit more skill to the solos. Wasteland features some of Riverside’s heaviest and most emotional music, and both types of songs are stunningly effective. Duda’s performances vocally and instrumentally are outstanding, the songwriting can’t be beat, and the production and arrangements are impeccable. It all adds up to one of the best prog rock releases of the year. 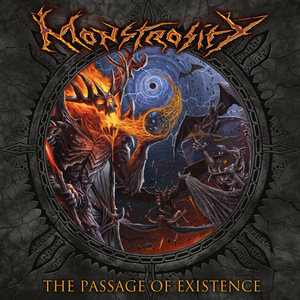 Monstrosity’s The Passage of Existence is pure death metal perfection. This is a massive blast blowing from the past and its indestructible substance will reign forever throughout the death metal realm. Containing 12 songs and spanning up to 50 minutes, The Passage of Existence portrays a grand landscape of modern death metal whose roots are merged with context and elements of old fashioned death metal. Releasing an epic album like this after an 11 year absence can clearly explain the powerful history of Monstrosity. Along with sharp production and mixing, The Passage of Existence is brilliantly written and strongly performed by one of the most consistent names in death metal history. Millennium and In Dark Purity are considered Monstrosity’s classics. You can add this one to that list. Eric Peterson’s symphonic black metallers Dragonlordhave been teasing a new album now for as far back as 2010. Now, a whopping thirteen years on from Black Wings Of Destiny the time has finally come for album three, Dominion, the new blackened release and a progression into a more epic sound. 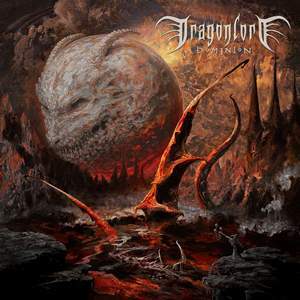 Dominion has all the brazen grandeur of Cradle Of Filth’s best and it can be said that Dragonlord are on par, a feat to be lauded with only three albums to their name. The addition of young Alex Bent on drums adds a fresh dynamic as do the dulcet tones of female vocalist Leah who lends her soothing voice to several tracks including the stunning ballad “Love Of The Damned.” Dominionmarks a splendorous return. Heavy Music Headquarters Copyright © 2019.